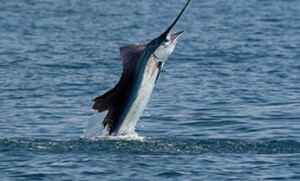 Atlantic Sailfish, Istiophorus albicans, are migratory billfish that congregate offshore of the Palm Beach area from November to March. 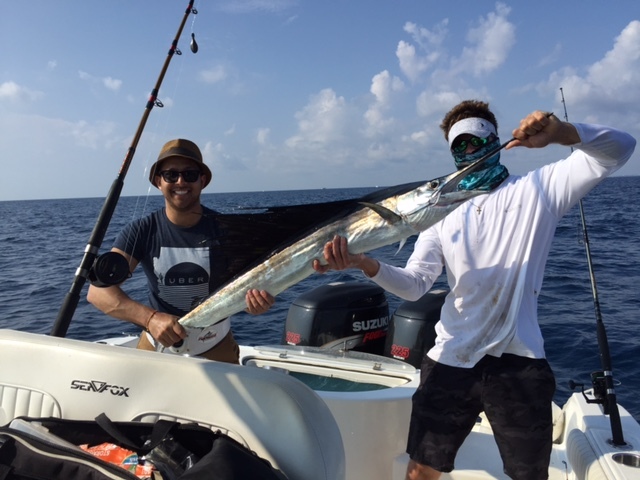 Combine the large concentration of baitfish with the fact that Palm Beach is closest point in the entire Eastern United States to the Gulf Stream and it’s easy to see why Sailfish – and anglers from all over the globe – make every effort to get here. 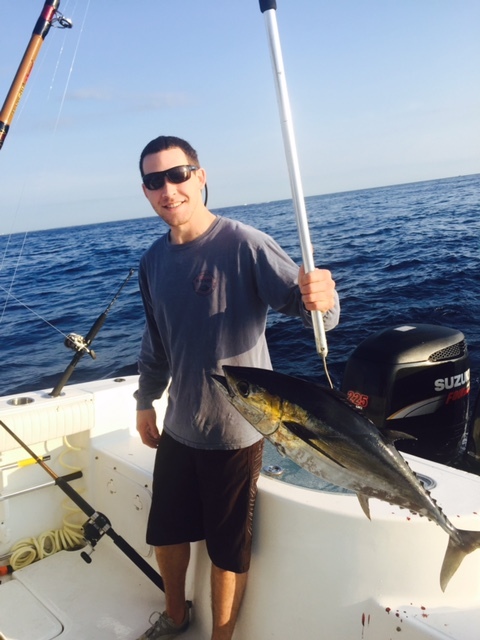 Sailfishing is best right before, and immediately following, a cold front. 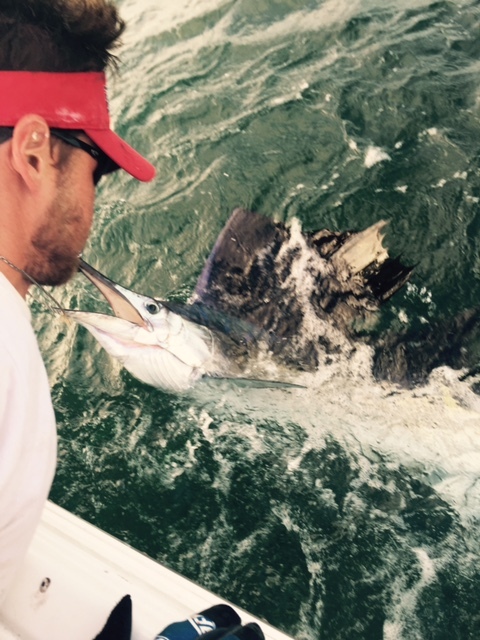 Palm Beach anglers pioneered the art of fishing live bait below kites, which placed a live “goggle eye” or “blue runner” frantically splashing on the surface of the water – squarely in the Sailfish Strike Zone. 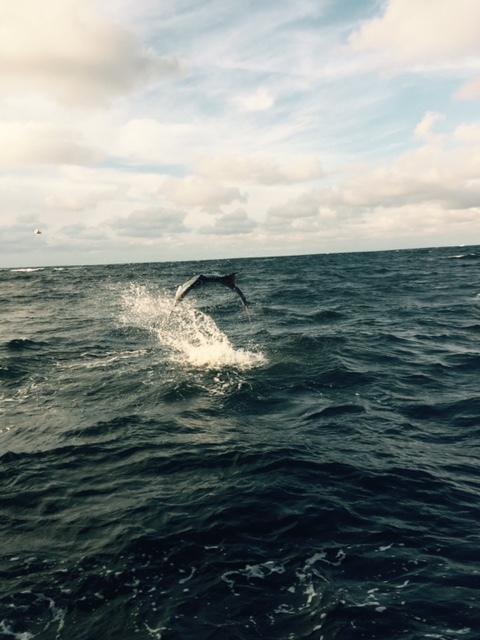 There are few sights more exciting than watching a sailfish slash at a bait at the surface,suspended below the kite. 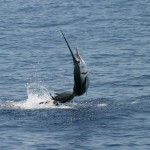 Once hooked, the Sailfish’s acrobatics are a half ballet, half freight train. Don’t forget that Sailfish are considered the fastest fish that swims, with sprints clocked in excess of 65 miles per hour! 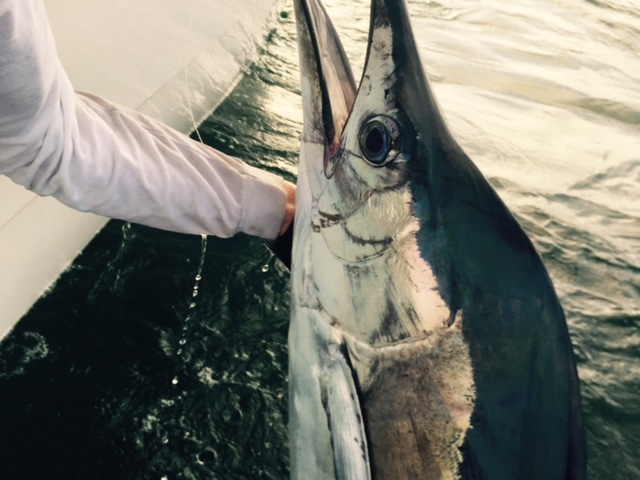 We leave the other baits in the water when a Sailfish is hooked because Sailfish hunt in schools and Palm Beach is famous for double, triple and quadruple header Sailfish bites! 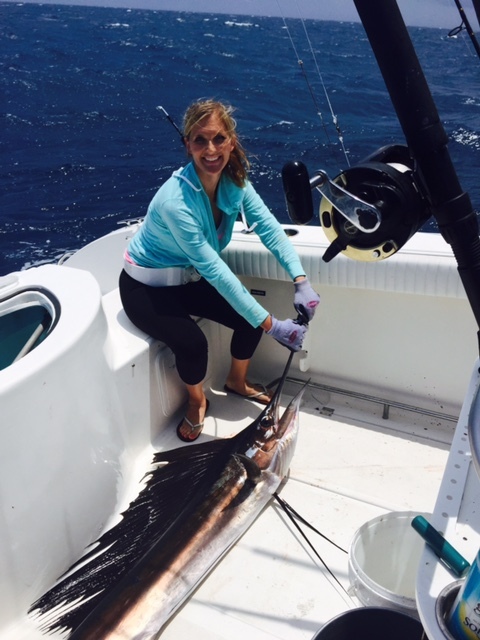 (Hooking two, three or even four Sailfish at one time). 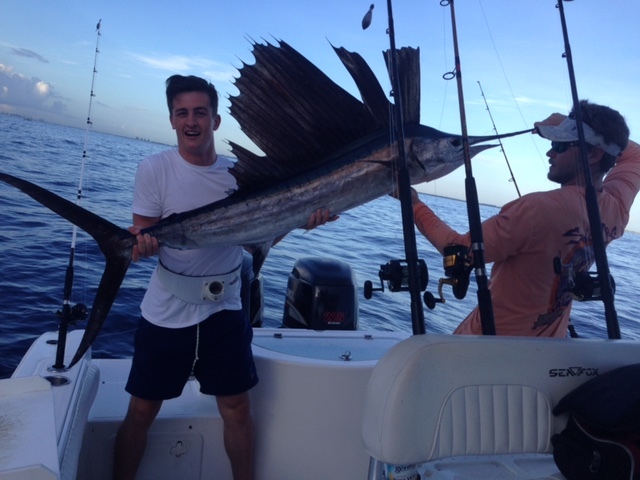 It’s no coincidence that many of the longest-running Sailfish tournaments take place in Palm Beach. 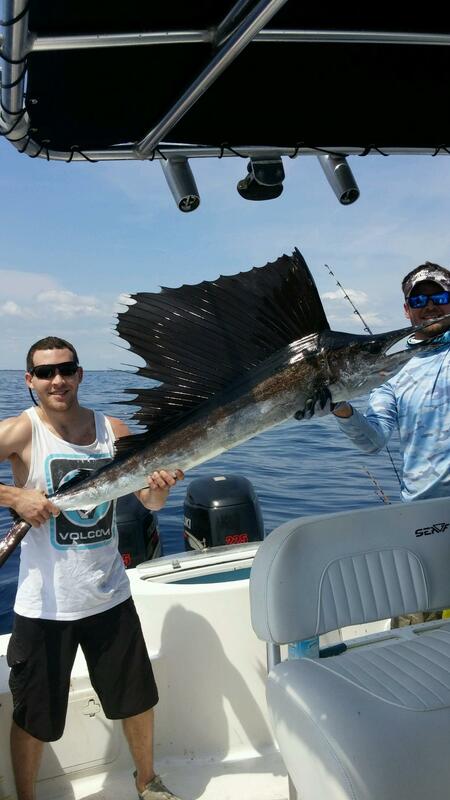 Sailfish are the only species that can’t refuse a kite bait. 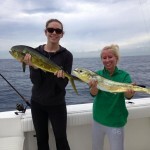 We also catch Mahi Mahi, Wahoo, King Mackerel, Cobia and Tunas.